this post I will discuss some very important and useful methods to build high quality backlinks for your blog. If you take them seriously then surely your blog will rank very soon in major search engines like Google, Bing & Yahoo. Let's go to learn those ways. Whenever you write a new post for your blog, always keep this strategy in your mind. Inner page linking is as important as inbound links. This will not only help you to increase blog page views but also help to rank your all posts very well because you are following page rank juice to all of your inner pages. backlinks by commenting on it. Use below methods to find dofollow blogs easily. Type it in search engine : your keyword "CommentLuv" or your keyword "keywordluv". When you search this query in search engines you will get a huge list of commentluv and keywordluv enabled blogs. Just visit those blogs and leave a valuable comment on their posts. search like this "Blogging Tips + Forum". Replace Blogging Tips with your main keyword. Build relationship with other bloggers who share tips under same niche. Write quality and original article and ask them to submit in their blog as guest post. This will give benefit for both the parties. Blog owners will receive free original content for their blog to share with their readers and in return you will get a high powerful backlink which will enhance your blog reputation in the eyes of search engines. These were the 4 best ways to build quality backlinks for your blog in panda and penguin world. Work on these strategies on daily basis to build up your blog. You can also generate high targeted traffic from these methods as well. Just keep this quote in your mind "Blogging Needs Quality Not Quantity". Happy and safe blogging friends. Author's Bio: This post is written by Ankit. He is an author of his Blogger Tips and Tricks blog where he share lot of quality articles about blogging, seo tips, blogger widgets and tips on how to increase blog traffic. Thanks Sohan Bro for this post. Your artikel is very good. Good job. Thanks kamil.. Please keep visiting this blog. I really like this inspired article, as i am also blogger and blogging at etechspider.com i would like to post a guest post, if you allow me to do so. Some very fine articles on your blog and this is one of them! It's nice that you have mentioned internal linking; many bloggers don't suggest that! Thanks for you comment dude. You can visit bloggertrix for more updates. Good information content in this single article. i glad after read this information. Your blog is looking good and having useful information and i like your design , i think it will reduce your bounce rate. Very very good job done by you. 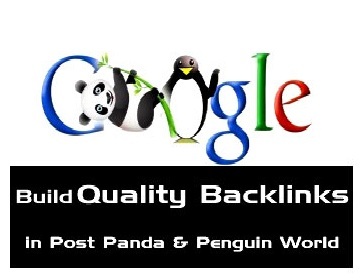 Great to know the various methods you explained for build quality backlinks. Nice Article. Keep Sharing Ideas with us. your valuable ideas will help newbies to grew up into professionals. Newbie who want to make career as a blogger they motivated reading this article. Blog commenting on related blogs and guest posting are the 2 major way to get quality back link. i saw some free back link site . please tell me it is work or not . Simple & suitable article for every newbie bloggers, i agree with all the points you mentioned in the article.